F is for “falling-in-love” in February. 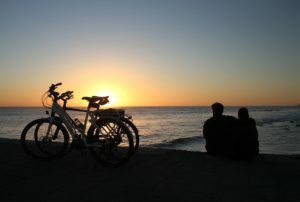 What better way to find cupid than to take a mini-break with your Valentine. Green Bay is known for the Packers, but there is much more to this charming city on the Bay. This is a special place, where you’ll find small town charm and big city excitements. 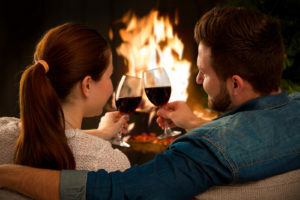 There are many wonderful things that you can do with your significant other, from spas, chocolates, and performing arts, to sports, wine tasting, and romantic dining. The Astor House Bed & Breakfast can help make your experience even more special. We offer a cozy environment with five distinctively decorated rooms, each equipped with modern comforts. 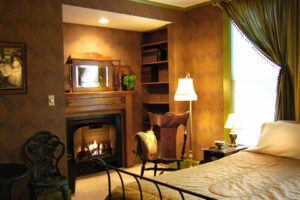 Four of the rooms feature double whirlpool tubs and most rooms have a gas fireplace. Call us today and make your reservations. Let us know your preference and we will do our best to accommodate you. There are many different ways to get out and enjoy the snow in Greater Green Bay this Feburary. One activity that is consistently rated the most romantic is the night ski at Bay Beach Wildlife Sanctuary. You can ski by path lights, and then warm up by the fire or whirlpool in your room. If night skiing is not your thing, don’t worry. There are plenty of other things to do in the evening. Sports fans will enjoy the Green Bay Phoenix Women’s basketball team, or the Green Bay Gamblers hockey games are always fun to watch. If you are interested in performing arts, be sure to check out the calendar at Weidner Center and the Meyer Theatre. 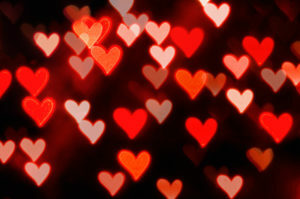 Don’t forget to pamper your Valentine’s with a special spa treatment, followed of course by some indulgent chocolates. There are over half a dozen Spas in downtown Green Bay, offering services that range from pedicures to full body massages. Afterwards, Seroogy’s Chocolates in De Pere is a must visit. Locally, you won’t want to miss the confectins at Kaap’s Old World Chocolates or Beernsten’s Candies. 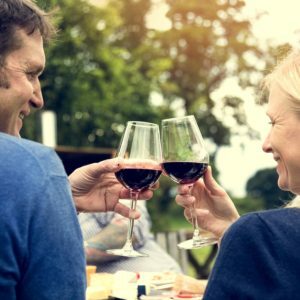 Green Bay also has a number of wineries that make for an excellent, romantic afternoon stop. Favorites include Captains Walk, Duck Creek, Mona Rose, and Parallel 44. 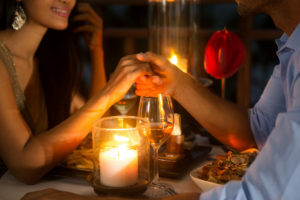 For a romantic dinner, we have several suggestions: Angelina, SIL, Black and Tan Grille, and Plae Bistro. These are by no means the only choices. At the Astor House Bed and Breakfast, we are more than happy to help you find the perfect restaurant. Last but not least, as your host at Astor House, we want to remind you that we offer room-service for breakfast. A perfect way to start the day of romantic outings. Give us a call today. It’s no secret that the star attraction in the charming town of Green Bay are the hometown favorites, the Green Bay Packers. For Green Bay natives, there is no better time of year. The local atmosphere is ripe with the legends of Packer’s Football, and weekends are filled with exciting games and tailgating at Lambeau Field. With football season finally in full swing again, it’s time to start planning for those weekends in Green Bay. So, whether it’s a Packers Game that brings you to Green Bay, or whether you’re here visiting friends or family or simply exploring the area, there’s no better time than now for a fall getaway. Book your room at our Wisconsin Bed and Breakfast today, and wine and dine your way through the restaurants of Green Bay. People all across Wisconsin have long had a love affair with good food, and Green Bay is no different. Whether you’re looking for simple game day fare or an elegant dining experience, you’ll find it in Green Bay. 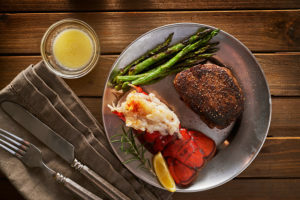 In Green Bay, we know how to cook the perfectly crafted steak, we offer up only the finest in fresh seafood, and we know how to make dining out fun. Our historic Inn is located just minutes from Downtown Green Bay, which hosts a great variety of restaurants, bars and breweries, shopping, and other fun entertainment venues. 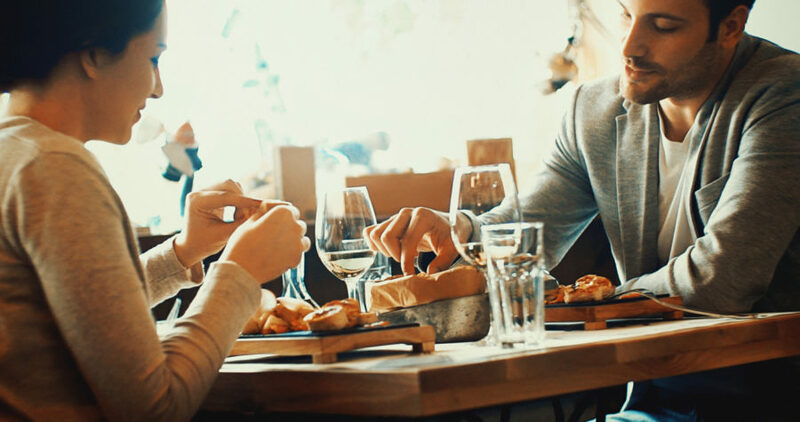 Dine at any number of Green Bay’s restaurants, and you’ll enjoy big city flavor coupled with our famous small town charm. 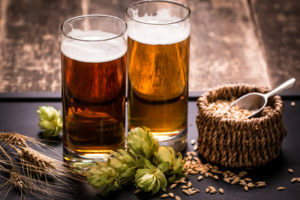 If you’re looking for an afternoon place to relax, try grabbing a bite to eat and a beer at Wisconsin favorite, Hinterland Brewery and Restaurant. 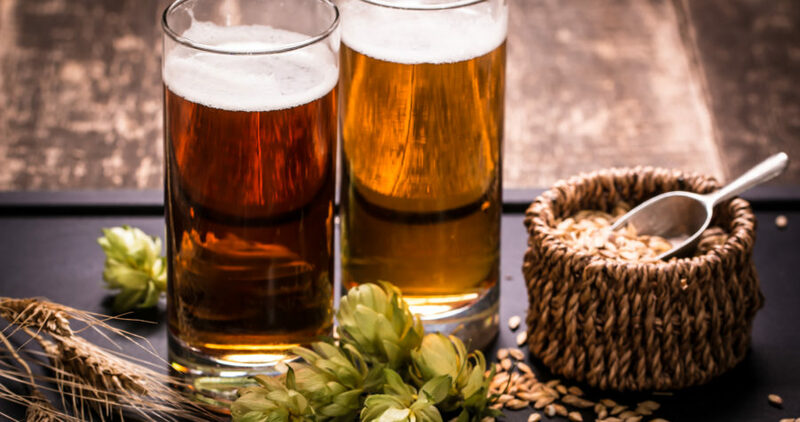 Brewery tours are given every Saturday if you’d like to learn more about their artisinal beers, or just enjoy the bold flavors and uncommon pairings at this staple Green Bay restaurant. Other great Breweries or wineries to visit are Titletown Brewing Company, Badger State Brewing, Stillmank Brewing, and Captain’s Walk Winery. If you’re looking for something a little more upscale than a brewery, Green Bay has plenty of restaurants to choose from. Try Italian Angelina, or a perfectly prepared meal at Black & Tan Grille, located in the historic Bellin building. You can even go full-on Packers at Brett Favre’s Steakhouse. Other fantastic options include S.I.L., Union Hotel, and Little Tokyo. 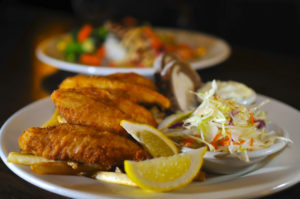 You can’t dine in Green Bay without trying a Friday Fish Fry, or dine in style at one of Wisconsin’s famous Supper Clubs like Wally’s Spot. No matter what brings you here, the city of Green Bay is an extraordinary place to spend some time. 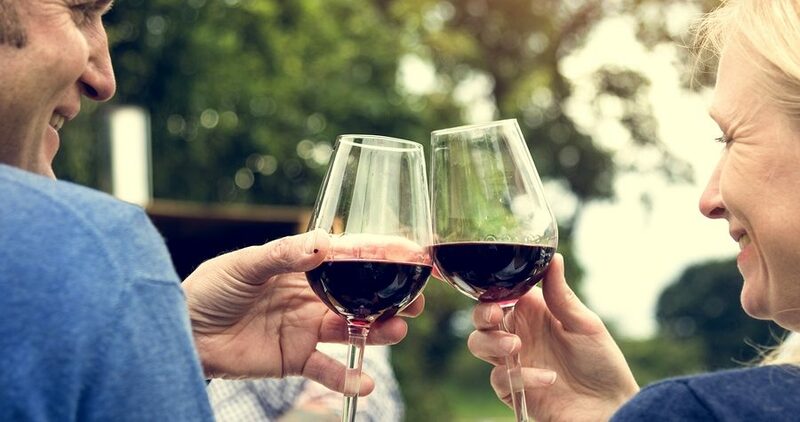 Book your room at our historic Green Bay Bed and Breakfast today, and wine and dine your way through Green Bay’s most delectable restaurants this fall.